IQlance provides robust ecommerce websites with help of Magento eCommerce development services. Our team provides support in Retail order Management, Store fulfillment and Retail Associate platforms. IQlance develops Magento customization solutions and third party extensions that provide flexibility and scalability to your business and helps in attracting more prospects, sell more products and increase your reach. IQlance provides robust and industry-focused solutions using Magento eCommerce Development services. It allows retailers to build the next-generation web-based shopping cart with complete focus on creative design and user-experience. Architecture: Code re-use, maintainability, debugging etc. Stock Magento comes with Simple, Configurable, Virtual and Digital Products. 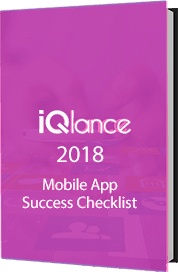 IQLANCE team of experts specialize in delivering Magento web development services and are experienced in developing custom Magento e-commerce solutions across various industries. These solutions can be integrated with the many extensions available in the marketplace. We dedicate R&D resources to listen to your idea, brainstorm with you and help you develop a sound strategy. Our team analyses project requirements, technical feasibility and recommends expert Magento developer. A holistic development approach is incomplete unless it has been tested soundly. Our team of testers and trouble-shooters apply tools and methods to transform an app in its nascent stage into a wholesome and real product ready for use. We let you control and manage your project and get periodic reports about your project.